Do you like being in an even lane top lane? Do you like to be able to outplay your enemies? Do you like slowly gaining an edge on your opponent? Then don’t pick a melee top laner against Renekton. 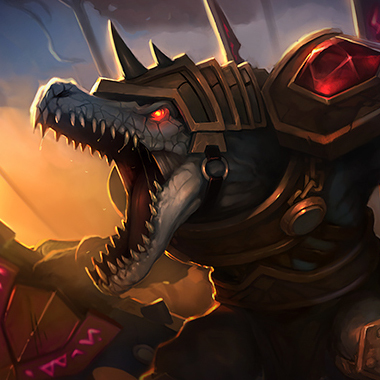 Renekton is a lane bully and the best champion for early game skirmishes. 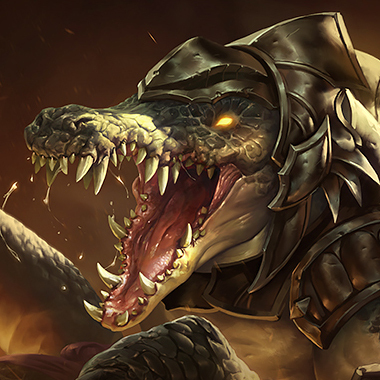 With oppressive damage, decent cc, a heal and tankiness, Renekton has it all. There’s a reason why people used to use Renekton as the bar to compare all champions against. 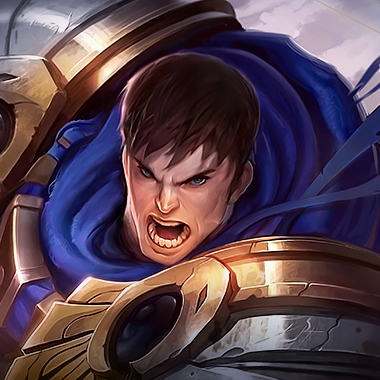 Although he’s fallen off a little since his season 3 glory days, he’s still going to beat you in lane, assassinate your adc under turret in midgame and become a strong tank in the late game. Your best chance is to wait until extreme late game, where he becomes nothing more than a Yasuo Windwall, blocking damage for his team. Renekton gains fury with each basic attack. At 50 fury, his next basic ability is enhanced. He gains extra fury when he’s low on health. 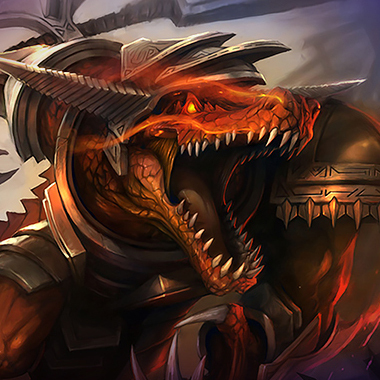 Renekton deals damage to all enemies around him, healing for each enemy hit. He heals extra if he hits an enemy champion with this ability. Renekton’s next basic attack deals extra damage and stuns. Renekton dashes in the target direction, dealing damage. If he hits an enemy, he can dash again in a new direction. 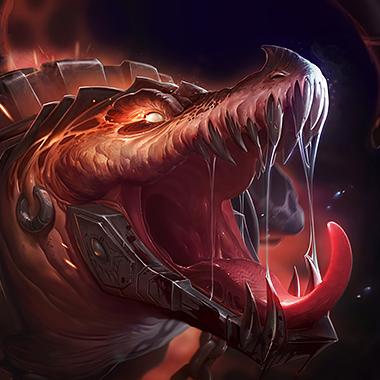 Renekton gains extra health and size for a few seconds, dealing magic damage to all enemies around him and gaining fury much faster. 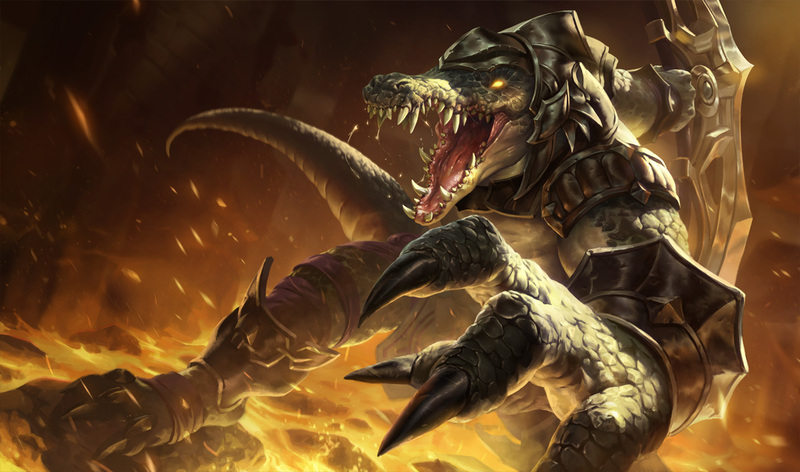 Renekton gains fury by auto attacking and when he has a full bar, he has a surprising amount of burst. Don’t be baited if you start a sustained trade. He gains extra fury when he’s low on health. The classic Renekton trade is to use E to go in, use W to stun, hit Q, then E back out. However, if you stand on the side of your minions so that he can’t hit his E on a minion, he’ll be forced to walk back, tanking minion aggro. Even better, force him to use his W in the middle of a minion wave, and it’ll hurt him a little. In general though, stay out of his E range so he can’t use his combo on you. 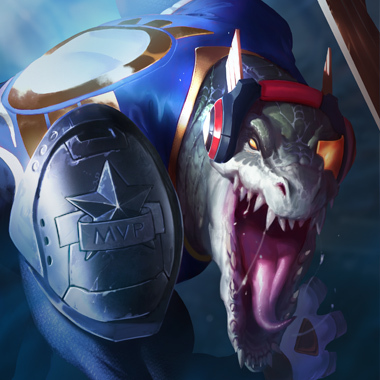 Renekton pushes the wave naturally, due to his 2 aoe abilities and his need to auto attack for fury. Choose a champion who’s good at farming under turret. Renekton has very good early skirmish fighting skills. Never fight 2 vs 2, or he’ll double kill you. Your silence should stop him from using any of his abilities, and you can outheal him in lane if you take a bad trade. Save your ult for when he uses his ult, because otherwise he’ll heal back up. Trade often. Build Black Cleaver. 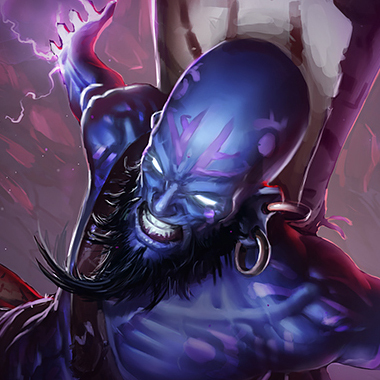 He simply can’t sustain from your constant poke with Q. Use your stun once he uses his E to come to you. 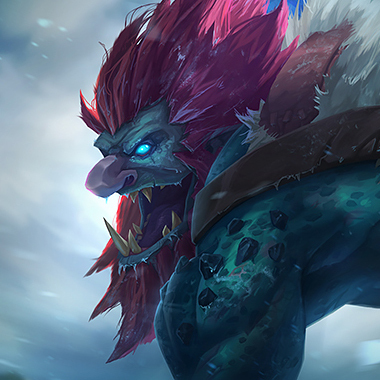 Roam often, as he won’t be able to affect other lanes as much, but be careful that he doesn’t push down your turret. Build Black Cleaver or if you’re doing extremely well, Duskblade. Use your root whenever he comes near. You can harass him with autos early game, and midgame you can push just as fast as him. Be careful of ganks, because he can jump on you and set them up easily. Build generic Ryze items, or build Frozen Heart early if you’re having problems. Farm under turret early game. Once you hit level 6, you beat him. 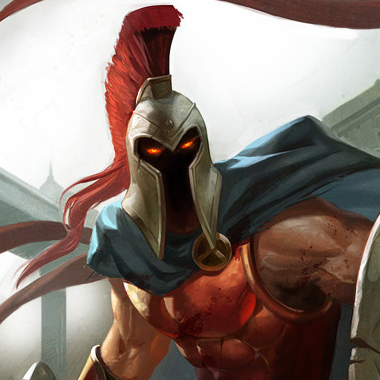 Each time he ults, you ult right after and you’ll beat him. Run him down if he uses his E aggressively. Build Tiamat first. Renekton is countered by armor. The magic damage from his ult is negligible, so you can focus on full armor items like frozen heart instead of armor + health like Sunfire’s. He pushes quickly, so pick up a Tiamat to push back.